You surely are well familiarized with cryptocurrencies and what they represent to our current financial outlook. However, you may not know that most of those digital coins dominating the news with their highs and lows are based on the blockchain technology. The blockchain is a distributed ledger of transactions and its associated records, which receive the name of blocks in the industry. Each block is formed by a cryptographic hash of its previous peer, as well as a timestamp and other information about an operation or transaction that two parties complete. The system makes it impossible to falsify records, so data can’t be modified. That feature alone provides enough trustworthiness to make sure that each transaction is completed with safety and transparency. The world is showing an increased need for most of the features that blockchain technology can provide. The majority of business, networks, institutions, and industries need transparent, reliable systems that can guarantee a secure exchange of assets for a particular purpose. People need trust and honesty to make transactions and to establish solid commercial relationships, and the ever-growing blockchain model is in position to deliver those goods. Powered by Ethereum smart contracts and the blockchain technology, Polysmwarm is a decentralized threat intelligence market that promotes innovation in the multi-billionaire anti-virus and automated cyber threat intelligence industry, using precise economic incentives that reward timely and accurate threat intelligence regarding the malintent of files, network traffic, and URLs. It provides a real-time threat detection ecosystem that involves all actors: enterprises, consumers, vendors and geographically-diverse security experts. Competing for “micro-engines” that autonomously investigate the latest threats are developed, in an attempt to outperform their competition. Much like Bitcoin and other prominent cryptocurrencies in the field, PolySwarm uses the “Proof of Work” system, which provides incredible threat detection accuracy. Additionally, the market rewards experts who are best able to defend enterprises and end users. 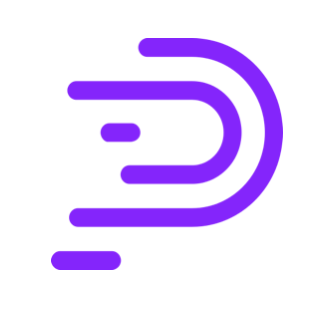 PolySwarm will lower the barrier to enter today’s ad hoc market, providing broader coverage options and discouraging duplicative effort while ensuring high connectivity and interoperability among products and threat intelligence feeds. Developed by Swarm Technologies, Inc. (“Swarm Technologies”) with funding derived from the sale of ERC20-compatible Nectar (“NCT”) utility tokens, PolySwarm functions as a skill-required twist on a prediction market with thousands of micro-engines (“workers”) investigating the latest in malware evolution at machine speed. RACoin is a platform, with its respective native cryptocurrency, designed to enhance the online gaming experience. The industry shows a stable growth rate. Consider this: in 2017, the gross win of the global gambling market was estimated at about 465 billion U.S. dollars. While the industry does not discourage innovations, it can be frustratingly conservative sometimes. Experts say that it still lacks transparency and privacy, but fear no more: Blockchain technology provides everything needed to establish today’s increased level of security and fair gaming across the industry. RACoin provides a perfect opportunity to take the gaming industry to a whole new level with a unified, functional cryptocurrency. It is a utility cryptocurrency powered by Ethereum smart contracts that can fully meet all the needs of both online and offline gambling. The Palau World, a luxurious resort complex with a wonderful casino venue set on a tropical island in the Pacific Ocean, is the initial point of the RA Entertainment – and RACoin – project. It will serve as a profitable method of payment for all goods and services Palau World will provide, with an exciting rewards and bonuses system. The RAcoin is a blockchain-based cryptographic token specially designed for the global gambling industry. 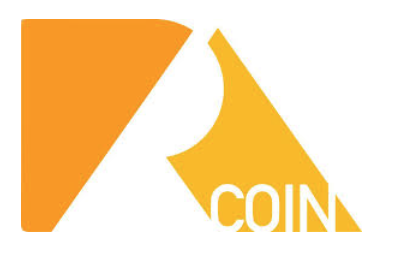 Circulating along with fiat on gambling and betting online platforms, RAcoin allows customers the freedom to choose their preferred method of payment. With lower fees for withdrawing money than fiat, RAcoin allows players to enjoy more gambling. 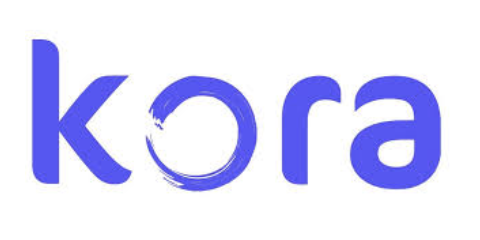 Kora has philanthropic intentions, as it is a project that intends to help millions of people who are forgotten by the current financial system and are affected by expensive and inconvenient access to financial services. The world is filled with people with little access to financial products and services: as much as we want to believe the contrary, planet Earth is not always a fair place to live. These people are continually excluded from better solutions due to high costs, lack of proper identity, poor access to banking locations, and mistrust or misunderstanding of the banking system. Kora preaches that technology should empower instead of displacing existing communities and networks in order to reach an understanding and trust needed for massive adoption. It endorses inclusion and provides the tools to fight for it. The system will be built on four layers of infrastructure to provide a low cost, universal access financial services platform accessible via SMS/USSD on features phones, or with Internet access via a mobile app, enabled by blockchain technology. Thanks to Kora, the communities will put together a sustainable financial services ecosystem, with costs and time reductions for accessing them. Capital will be unlocked, and the forgotten people in the economy will have opportunities to exploit their talent. Right Mesh is a decentralized platform and Internet infrastructure that is built to endure both oppressive political and governmental regimes as well as natural disasters. To the contrary of what numerous other networks preach, Right Mesh is truly decentralized because it doesn’t rely on centralized infrastructure hardware-wise. By allowing (peer-to-peer) activity, Right Mesh represents the world’s first software-based, ad hoc mobile mesh networking platform and protocol that implements blockchain technology and its native cryptocurrency, which are the RMESH tokens, to back up growth. Right Mesh is owned by parent company Left, a multinational enterprise with nearly a hundred employees and with considerable investments in the decentralized platform, one of the hottest propositions for 2018. The RMESH Token is of the ERC20 type and is worth one dollar. The ICO fundraising goal, expressed in US dollars, is 30,000,000, 18,000,000 of which were sold on the pre-sale phase. There are 129,500,000 total tokens. The system accepts ETH, BTC, USD, EUR, GBP, DKK, and SGD. Another one of the top cryptocurrencies for the second quarter of 2018 is SPINDLE. It is an ecosystem, where private investors and investees can meet and interact on a fair and equal base, using SPINDLE (SPD) tokens as a ticket to a confident and transparent investing and asset management experience. Making investment an actual option for everyone, regardless of their nationality, gender, age, wealth etc. - for this goal, the SPINDLE team is developing the blockchain-based investment / asset management platform ZETA. 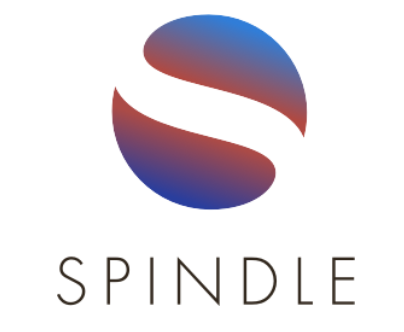 SPINDLE seeks for the platform to serve as a bridge that connects investors and asset managers to alleviate the former’s sense of unease about investment and encourage involvement in proactive asset management. Users will be able to freely select and combine their preferred investment targets, converse with fund managers, and make confident investment decisions based on their own, personal judgements. The platform has its native digital coin, as does every option listed in this article. Its name is SPINDLE (SPD), and it will be used as a utility token within ZETA’s ecosystem. SPINDLE token holders will not pay any fees or commissions when using SPINDLE's service platform ZETA. Likewise, cryptocurrency funds will be able to join and use the platform free of charge. SPINDLE, therefore, will provide transparent access to cryptocurrency fund investment for users in all locations in the world, and increased exposure to cryptocurrency fund managers. Think of it as a match-maker - but instead of connecting you to your future lover, SPINDLE will connect you with your ideal investment options. The blockchain technology provides a perfect environment to nurture new projects related to credit valuation and assessment. 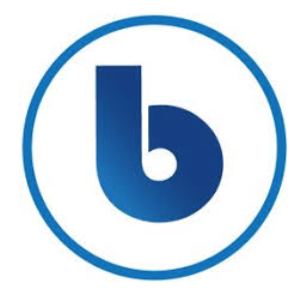 Equity Base is one of them: an end-to-end securities token ecosystem for project appraisal an credit valuation. It is built to let issuers offer asset-backed investment opportunities to investors in every corner of the world. The primary goal of developers, advisors and the team, in general, is to overcome entry barriers for issuers to launch security tokens on the blockchain. The Equity Base ecosystem has the potential to narrow the existing gap between traditional securities and blockchain based asset ownership because it provides the tools for building an integrated marketplace for securities issuances and alternative market trading. It serves as a perfect setting for real estate trading and commerce because it provides issuers with legal compliant solutions. This network applies smart contract technologies to real estate and capital market. The associated cryptocurrency is BASE, an Ethereum-based token. With the aim to serve as the perfect gaming platform for an ever-growing online market, Play2Live is a blockchain-based streaming platform for gamers and esports fans around the world. It merges revolutionary blockchain technology and streaming services to provide a fantastic end product: an ecosystem in which gamers can interact. It focuses on content generation and on solving the practical needs of streamers, esports tournament organizers, and the viewers. Users expect a wide range of interaction and personalization options while regulating peer-to-peer commercial relationships. On top of that, Play2Live users get to choose how they receive advertisements. Based on blockchain technology, Play2Live introduces a unique mix of interactive features that include increased speed, transparency, security, and availability. In conclusion, the world is filled with cryptocurrencies and blockchain-based technologies and platforms. However, savvy investors don’t just look at the coin tendencies before investing: they also research the best platforms and networks with native cryptocurrencies that fulfill a purpose, a specific solution to a problem. The seven options listed here are some of the hottest values in the crypto universe.